Green Mountain Animal, LLC is the top pet treat manufacturer in the USA of safe and delicious pet treats that satisfy dogs, cats and distributors. 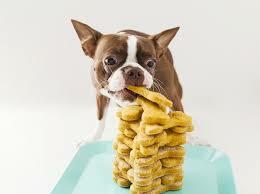 We use the highest quality raw ingredients to produce treats and supplements on both small and large scales. 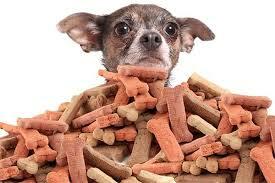 We work with distributors to manufacturer a variety of health products and treats for companion animals. All ingredients and raw materials are tested for quality and purity, ensuring a safe product. We’ve paired up with local animal rescue groups to supply us with a expert team of taste testers. Our CEO is the founder of the National Animal Supplement Council and has 14 years experience working with the FDA and Center for Veterinary Medicine. We provide compliance checks so you can rest assured your products are regulatory-friendly. 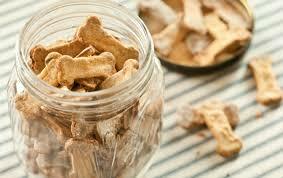 Soft chews are tasty and easy to administer to pets. This product can be formulated to include a variety of nutritional supplements: healthy hips & joints, fresh breath, complete multivitamin, glucosamine, digestion, behavior, healthy skin and coat, immune support, liver support, etc. Satisfy the desire to chew while providing vitamins and nutrients. Treat sticks can be manufactured in a variety of forms—bully sticks, bladder sticks, dental chews—and flavors—chicken, beef, fish. Powders, tables, capsules, liquids and gels are excellent conduits for administering nutritional pet supplements with ease. Products include supplements for enzymes, muscle building, vitamins, bladder support, eye support, etc. All products meet both compliance and taste standards. Green Mountain Animal, LLC uses high-quality ingredients and raw materials that are tested for identity, purity and potency. All ingredients undergo rigorous testing before ever being placed into a product. Our detailed data records allow us to trace all ingredients back to their sources, allowing us to quickly recall a product in case a danger to pets is detected. These practices combined with our state of the art manufacturing facilities ensure a quality, reliable product. Green Mountain Animal, LLC provides full service product development from initial formulation to packaging design and distribution. Our custom, brand new facilities are designed to meet industry standards in safety and quality, with the ability to produce both small and large scale orders. We manufacturer a variety of products and packaging to meet our clients’ specifications. We provide creative services to ensure strong branding that will carry each product to market success. Our clients can choose to use our team for creation of product labels, website content and promotional materials. Our CEO, Dale Metz, has 14 years experience working with the FDA and the Center for Veterinary Medicine. He is the Vice President and a founding member of the National Animal Supplement Council. Under his guidance, every product produced at Green Mountain facilities complies with industry health and safety standards. Call or email us today to schedule a consultation!